Walt Disney got lucky with the Force. The seventh movie in the Star Wars franchise, “The Force Awakens,” was originally planned for mid-2015. It ended up being released last month. Now that it’s shattering box-office records, the December date offers a new roadmap for Hollywood. Having stumbled upon a magic formula, the Mouse House is delaying the next Star Wars flick too. 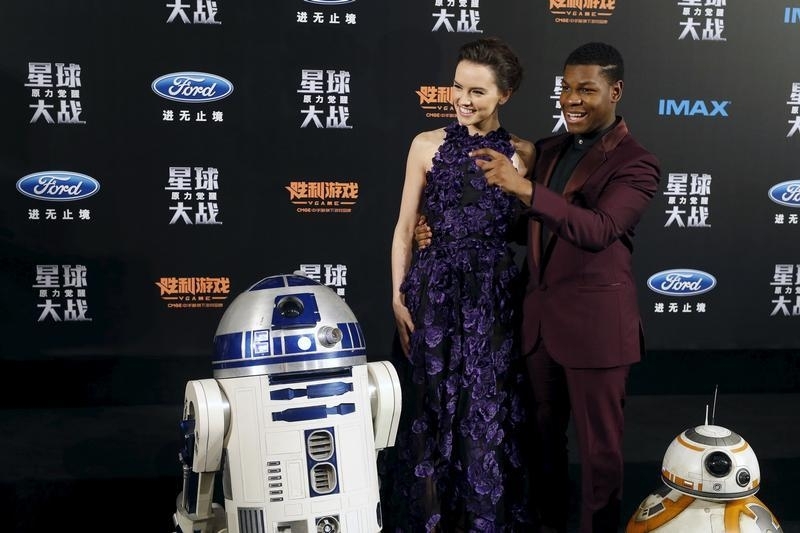 Traditionally, Star Wars movies have debuted in May, a month that Tinseltown typically reserves for splashy action-oriented features. The impending hot weather and the lazy days of summer are a recipe for ticket-sales gold. The plan for “The Force Awakens” was originally similar. But director J.J. Abrams needed more time to develop the script that sees the return of Princess Leia, Chewbacca and new characters like the plucky Rey and her sidekick robot BB-8. So Disney agreed to a December 2015 release. The happy accident is paying off handsomely. The film is already the top grossing movie of all time in North America and has so far climbed to third worldwide, pulling in $1.9 billion according to Box Office Mojo. Only Avatar and Titanic have raked in more, at $2.8 billion and $2.2 billion respectively. They both debuted in December. Release dates are a standard Hollywood battleground, but the studio big shots seem to have underestimated the significance of this pattern until now. Disney at least has seen the light. The company said on Wednesday that the next chapter, “Star Wars: Episode VIII,” would now be released on Dec. 15, 2017 rather than in May next year. Another reason to launch movies like Star Wars as the holiday season approaches is the chance to sell related products. Retail research group NPD estimates toys like Kylo Ren light sabers tallied $700 million in the U.S. last year, making Star Wars goodies the No. 1 toy category. Disney may have been slow to rethink release dates, but few companies are quicker to see potential in merchandise. Walt Disney said on Jan. 20 it was setting a new Dec. 15, 2017 release date for “Star Wars: Episode VIII.” It was originally slated to debut on May 26, 2017. Retail research firm NPD estimates that Star Wars toys generated more than $700 million in sales in the United States last year.